A foray into early gay American history that occasionally hits its mark but is ultimately undone by the cloying preciousness of its characters and an author who too often takes the easy way out. Thirtysomething Nora and her best friend, twentysomething Lark, have bought a house together in Truro, Massachusetts, and named it True House. She’s divorced with two kids, he’s gay and rather effeminate—and they're a bit in love with each other. They’re an earlier Will and Grace, except instead of meeting in college, they met in front of a Cassatt painting at Boston’s Museum of Fine Arts. Living on the edge of Provincetown, they quickly gather around themselves a bohemian household. There’s Hortense, a Gertrude Stein wannabe right out of E.F. Benson. Then there’s Molly, another painter, who subverts the male gaze by painting male nudes. She’s taken up with a black gardener who, seemingly by dint of his race and occupation, spends most of his time representing a sort of quiet sexuality. Lovers arrive at True House—not for Nora, who remains primarily celibate, but for Lark—including Austin, a manly and angular architect. 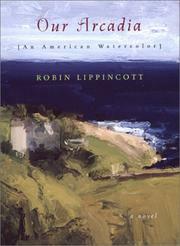 Lippincott (Mr. Dalloway, 1999, etc.) has done a credible job of creating a sense of place: a well-realized world of disaffected, eastern, upper-class bon vivants in the midst of Cape Cod’s art world. The characters in this milieu, however, never come to life. They speak and think almost identically, using an overexcited prose filled with italics and explanation marks. And while there’s action in the 15-year span of the story, it's nearly all offstage. Lippincott saves his pages for quick gushes of emotion, brief introspection, and quotations from Gerard Manley Hopkins and the like. The structure, comprised of short chapters, many of which are letters and diary excerpts, doesn’t help. With the exception of Lark (whose boyfriend problems ring true), it’s nearly all surface—and one that grows quickly tiresome. Good raw material turned into treacle.